“Fisk” actually means “Fish” in Denmark. But that’s a very long story. The new Fisk Pure Raw is, however, anything but fishy. The liquor is brewed by hand and made of pure raw liquorice mixed with vodka for a pure and soft taste. 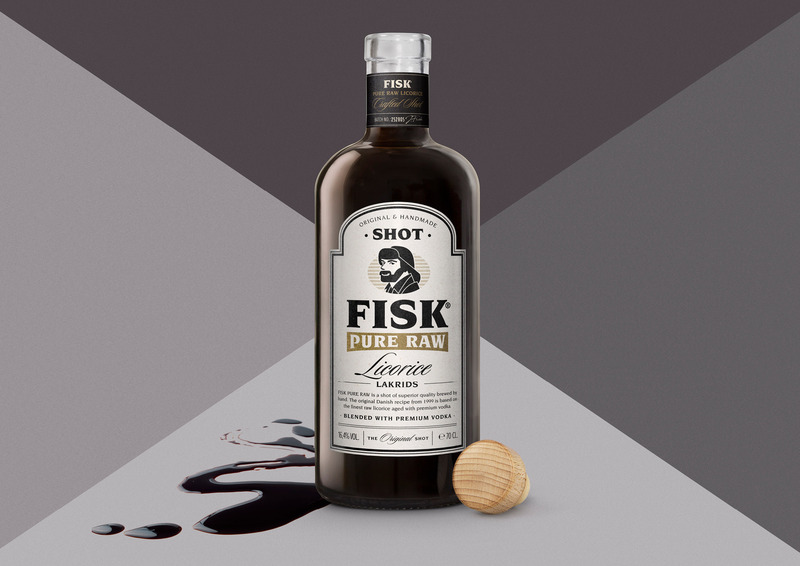 Everland designed Fisk Pure Raw for United Drinks and helped position the product as a premium alternative to their range of liquors. Highlighting the craft and expertise that goes into the product, the design emphasises the exclusivity and artisanal elements of the spirit. Pure Raw was launched in the beginning of 2018 and is available in Scandinavia only.